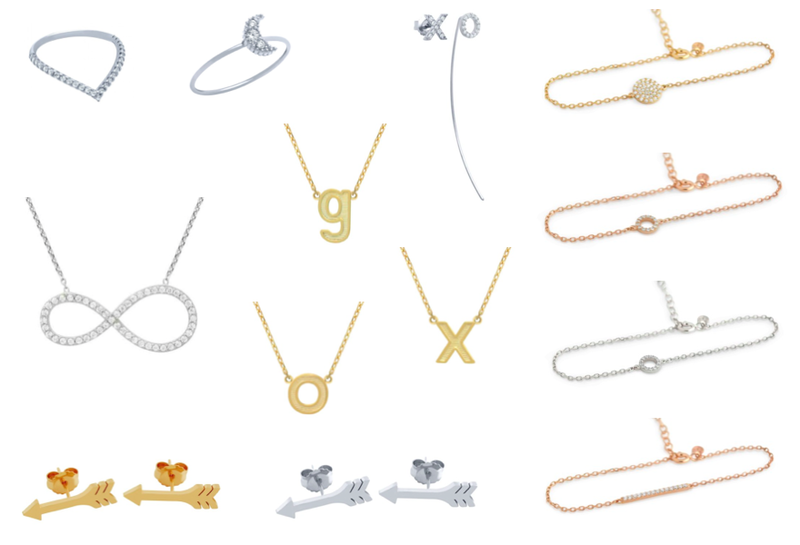 Alexi London Cupid Necklace & International Giveaway! 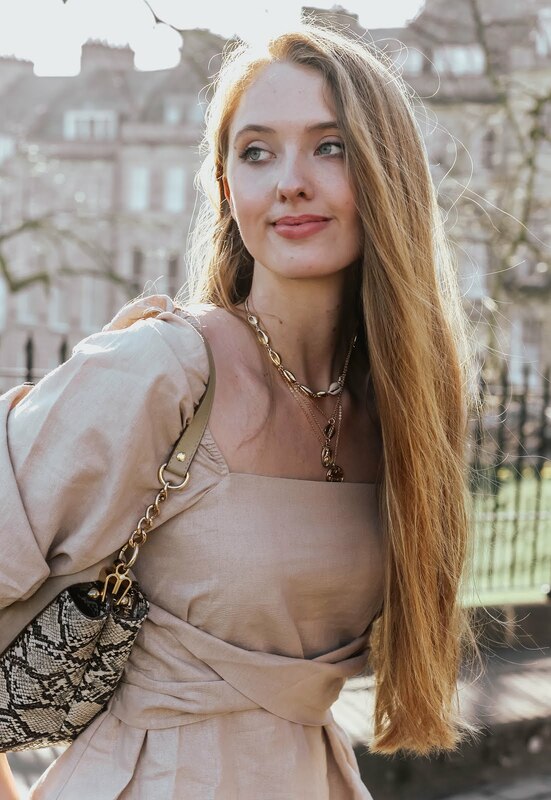 Returning to one of my favourite themes, dainty jewellery, I've been considering lately the many ways of using delicate necklaces to add a further touch of femininity to an outfit. As much as I want to fall head over heels in love with statement necklaces, I can't help but return to my longterm favourite of beautifully simplistic, dainty pieces. I love necklaces that prompt double-takes to appreciate the understated beauty... and a silver arrow shooting a fine chain through a shimmering heart will certainly do that! This unusual design immediately caught my eye over on the Alexi London website, as it's a style I've not yet worn before; the 19'' unclasped chain enables an easily adjustable length, depending on how much space is desired between the heart and arrow - the higher the heart, the lower the arrow. On this day, I've worn a silk button-up shirt by Roberto Cavalli, because there's nothing I find quite so appealing as shirts/blouses teamed with elegant jewellery! Needless to say, my love for delicate necklaces won't be going away anytime soon, especially not when pieces like this are around. On this occasion, I have Alexi London to thank for my increased adoration - and I've no doubt the lucky winner will do too! Good luck to all those who've entered, my fingers are crossed for you! Note: This prize has been kindly provided by Alexi London. I'm the exact same, I really want to love statement jewellery pieces but when it comes down to it I always prefer the more minimal and delicate pieces- especially when it comes to necklaces. Aw such an elegant and pretty necklace! I love your shirt and beautiful photos! Thanks for sharing! Have a nice week ahead! Beautiful necklace! I much prefer dainty jewellery compared to larger statement pieces! I really love the idea of a small arrow going through a sparkling heart - you almost sense Cupid's presence nearby. The delicate necklace goes perfectly with your beautiful silk shirt - you look very chich and elegant, as always! The necklaces are very beautiful! I love its double layer with details. You look very cute! I love minimalist necklace like this. I much prefer dainty jewelry over statement pieces as well. It looks so pretty! Such a classy dainty piece. Thanks so much for the giveaway! What a sweet necklace ! Like you I tried to love statement necklaces but I much prefer something a little more dainty and I love how this necklace does that while being something a bit different and unique at the same time ! I adore how dainty these necklaces are, so very pretty and feminine! There are certainly a lot of choices to choose from too! Good Luck everyone - you're in for a treat! All the pieces you picked are simply stunning. Although I wear statement jewellery once in a while, dainty pieces will always remain my favourite. Firat of all, Roberto Cavalli has such a normal looking shirt?! I thought his designs are all loud and flamboyant! You look so lovely Gabrielle and love the necklace that you got. What a beautiful necklace! I love how it loops through the heart. It looks so great with your top too. What intricate pieces! You look so pretty in that heart-shaped necklace Gabrielle! I love dainty pieces too, I used to be all about statement but now I like my jewelrey subtle. Love the lariat style necklace! You look gorgeous btw! Such a pretty necklace and definitely an awesome giveaway to win! Thanks for sharing! What beautiful dainty necklaces. So gorgeous! Oh my, the necklace looks really nice! Your necklace is so stunning! Love the dainty heart design! Great giveaway dear! These necklace looks so beautiful! Love your blouse too! Beautiful Photos ! I love your hair. Lovely outfit as always, Gabrielle! Love your necklace very beautiful, and a gorgeous top to go with it. so pretty! love the details on the necklace! What a delicate, beautiful necklace! I love this silky blush blouse too! What a lovely heart and arrow necklace, you do know how to choose great pieces! The necklace is really beautiful! I like that necklace, it looks really elegant and compliments you! such a beautiful piece. That would be a great detail for mom's day!! So pretty! This necklace is so cute! Omgosh Gabrielle! You look like a model! Your eyes are just so capturing and your long blond hair is gorgeous!!! The cupid necklace is so pretty, very delicate but also a bit of a statement. Love your blouse too, such a gorgeous colour! I need your blouse, it's so beautiful! The colour and the sleeves, so classic and elegant. The jewellery is lovely too, a very delicate touch! I am loving dainty Jewelery pieces these days . Plus that necklace is so gorgeous. The necklace is so elegant! You styled it perfectly with the blouse. Stunning! You look stunning, Gabrielle! So feminine and romantic, I really love this silky shirt on you! The necklace is the perfect dainty piece to finish the look. Oh your necklace is just so dainty and feminine! Definitely a really versatile piece. Good luck to everyone! The necklace looks so pretty! I like the timeless design. such an american apple pie kind of mum shirt! and I absolutely love how it looks against your pale skin, little angel! Wow, such a beautiful necklace, Gabrielle! It certainly is unique in it's design and sure to be a conversation starter! I also love the other pieces in the collection and such a great giveaway, too! Thanks so much for sharing, beauty, and I hope you have a wonderful week ahead! I love dainty pieces! The heart necklace is amazing! I love that necklace on you! The unique design is really quite special! Ooh, love this! I tend to gravitate towards statement necklaces myself (although I don't have any haha) but I really like the arrow through the heart style. It reminds me of another necklace that has the same style, just not the arrow and heart. I forget how lovely dainty pieces are! Dainty jewelry is just so precious. I find myself browsing for pieces like this rather than searching for a chunky piece. That arrow just wins my heart over - such a cute touch! Lovely giveaway, hon. I can totally relate - I love dainty pieces of jewellery! This necklace is exquisite. Have a great day! I looove dainty necklaces ! I just looked on the website and they've beautiful jewelries ! you are stunningly beautiful dear! that shade of pink really makes you shine...and I do like that necklace. I love dainty necklaces too! Yours is beautiful!! An absolutely gorgeous range of necklaces! The silk shirt is so nice and the color looks so soft and fit with you.